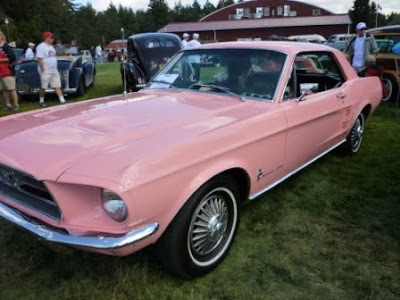 This last Saturday was the big 33rd LeMay Car Show and Auction and it was amazing. I volunteered at the Marymount grounds dealing with ticket sales. It was a bit chilly, in fact before the crowds came a good portion of conversation with the other volunteers was how cold we were. But once the bus loads of people came there was simply no time to even acknowledge cold hands and feet. I met some amazing, friendly people and the six hours of volunteering went by fast. Then the rest of the day was dedicated to seeing the sights and sounds of the car show. I had no idea how much fun this car show was going to be and I definitely recommend coming next year if you even live somewhat near the Pierce County area. I can understand why people travel clear from the east coast for this event. I took over 300 pictures between the car show and collection of cars at the LeMay Museum at Marymount location and the LeMay house. It is absolutely mind boggling how many cars Harold LeMay had in his collection just looking at what is currently at Nancy LeMay's, his wife, home. Working tickets sales at the front gate definitely has its advantages, it was where all the collector cars came to enter the show. This picture is of three Isettas in a row! So cool! 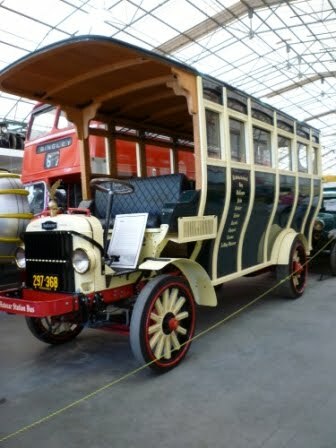 A really cool old time bus, going to have to ask for more info. on this one. 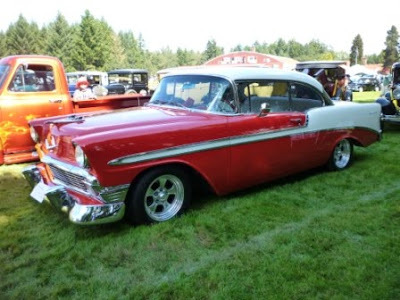 A absolutely beautiful cherry red 1956 Chevrolet Bel Air, I want one just like this one! Isn't it adorable, a 1957 Volkswagen "Shorty"
A pink 1967 Mustang - beautiful! 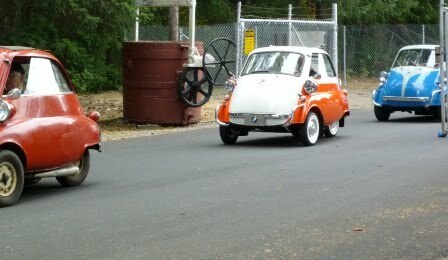 I want one of these too! 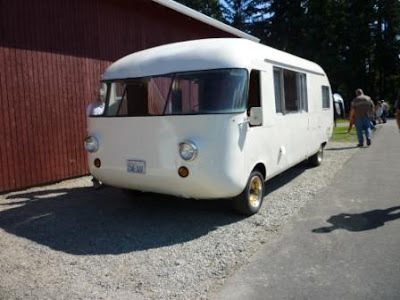 No clue as to what it actually is but isn't it cool? 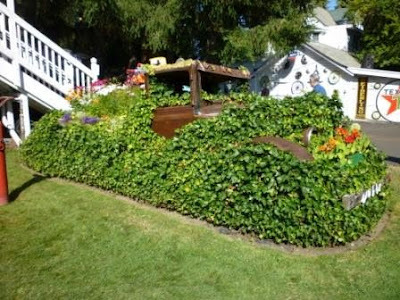 This beautiful flower box right here made me think of being in Disneyland, only for classic and vintage cars. 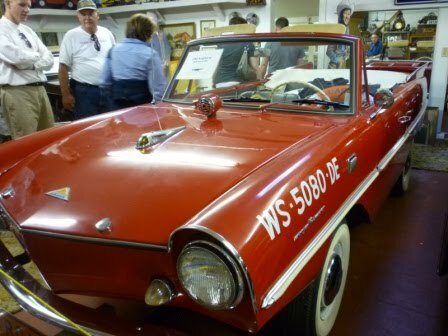 A 1964 Amphicar - a car that can drive in the water. By this point I of the day I was absolutely exhausted but it was a ton of fun! 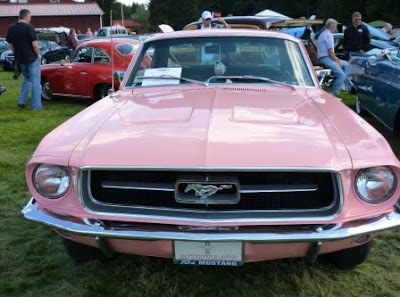 It truly was a amazing day filled with so many great classic, vintage and sporty cars, along with other amazing items such as Nancy LeMay's antique doll collection - including a couple of Annie dolls, all nine original Strawberry Shortcake dolls and a couple of the very early Barbie and Ken dolls. It you are interested in seeing more of the pictures I took of the event click here . There is 204 pictures in the album. 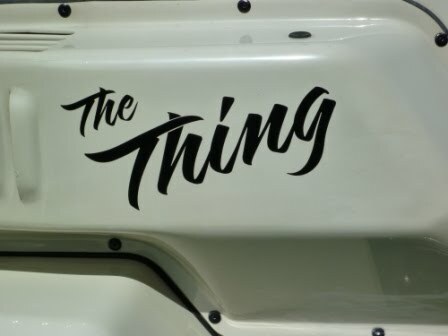 I hope you have enjoyed my post about the car show and some of the great pictures of the cars. 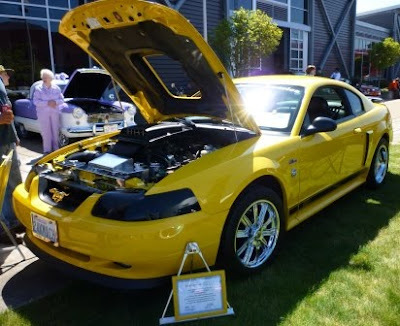 The LeMay car show and auction always happens the last Saturday in August so mark your calendars for next year! 'Til next time have a totally amazing day! I almost forgot that I promised to report back on my list of questions that I had developed over the last entry with the 1929 Imperial L-80 Roadster that I was going to ask the volunteers at LeMay. Body Pillars: This is the support for the cars windows and roof. 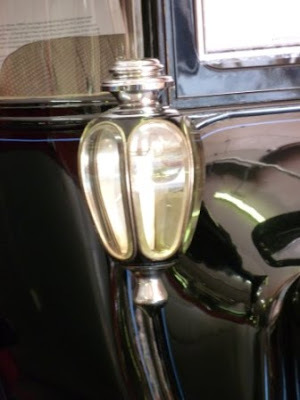 For example in the picture below of the limousine the metal the holds the front windshield in place is called Pillar A, the metal between the front and second window is called Pillar B and then C, etc. till it gets to the metal support holding the rear windshield. Arched vertical hood louvers: These are the vertical slits in the hood of a engine to ensure proper ventilation. 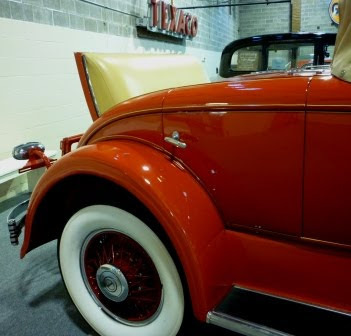 This is shown in the image of the Imperial Roadster's picture below. They remind me of the shark gills on the side of their head that they use to breathe. Cowl ventilator: A cowl ventilator is a curve on the inside dash board that helps with wind flow. Thus I have learned that cowl ventilators and cowls are the same thing. 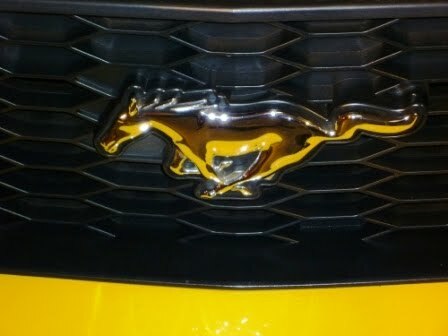 When I went into LeMay to ask these questions I thought it would be some profound item on the car but I have found that a lot of times these certain qualities are just little intricate details.In a way I guess it is sort of fashion statement for cars. 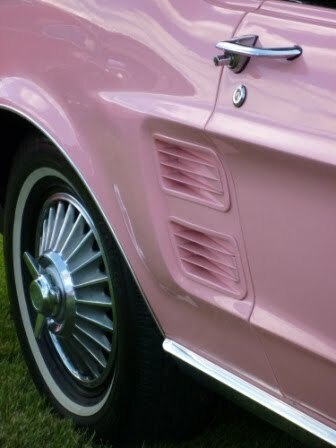 A sweater have crew necks, cowl necks, or v necks while classic cars can have front body pillars, cowl ventilators and arched vertical hood louvers. It is all terminology that one must embrace when coming into the new world of classic cars much like embracing a new language and culture. I hope you enjoyed this blog about my experience with classic car terminology. 'Til next time have an amazing day! p.s. Thank you to Joe Reasoner, John Meister and the others that have so patiently put up with me asking so many questions about basic and simple things regarding classic cars. I really do appreciate it! 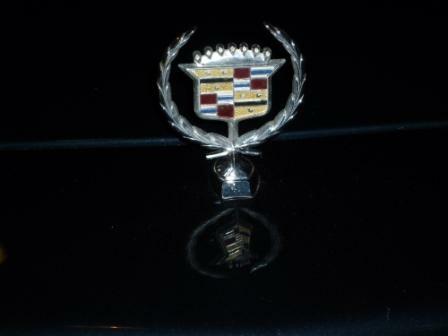 You have given this classic car novice just a little bit more knowledge about this world of classic automobiles. So I just wanted to say: THANK YOU!!! 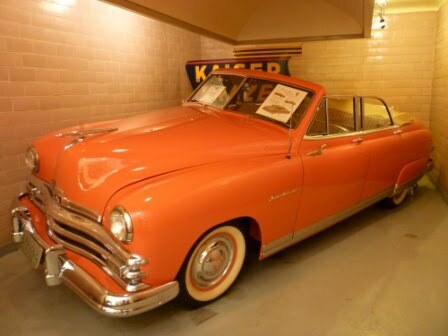 When I first heard and saw the 1949 Kaiser Deluxe what stuck out most about this car's story was the fact that its paint color was chosen based on the results of Carleton Spencer's research, a pioneer of color and trim. 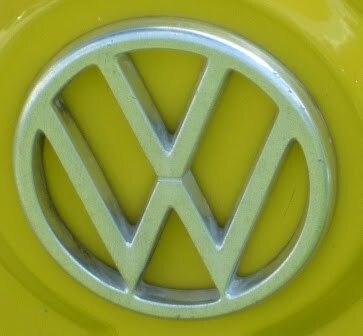 For it was Spencer who took a survey for the Kaiser company to see what it was that women liked in cars. A interesting fact was that Spencer's research was used both for the Magazine "House and Home" and for the Kaiser-Frazer automobile company. 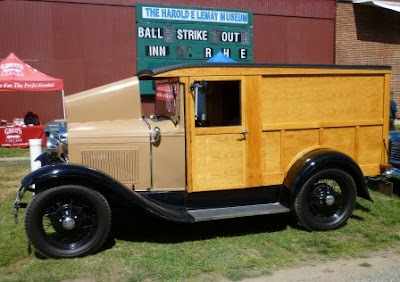 This particular car was bought by Harold and Nancy LeMay while it was still dissembled when they were visiting in Pennsylvania. The car was put together for the 15th Annual LeMay Car Show and Auction ( which happens every last Saturday in August) in 1992. 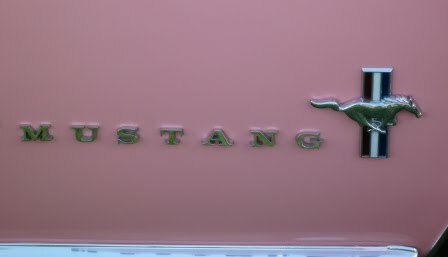 Interesting fact was that when the LeMay's went to look at the car that was in a bunch of boxes they were expecting a sedan with a hard top, not a convertible. 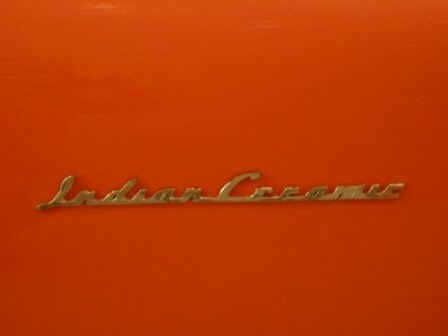 The fact that the car was described as a sedan to them probably had to deal with the fact of how the idea for the convertible Kaiser Deluxe came about, because Henry J. Kaiser believed that he could make a convertible from the company's sedan by just chopping off the hood, adding chrome to the windows and installing a convertible top and that the car would be fine without added enforcements. However, after the first test drive where it was described to drive like a "bowl full of jelly" the company's mechancial engineers convinced Mr. Kaiser that the convertible needed at least x-member frames and special pillars for it. However, why stop at just x-member frames? 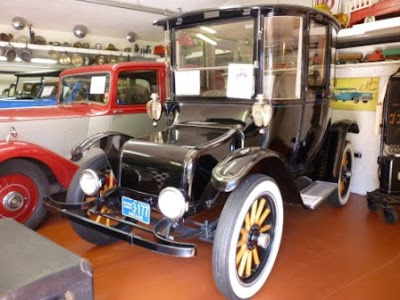 After analyzing a Packard convertible, which was said by one of Kaiser's engineers to be the best convertible that he had ever driven, the Kaiser Deluxe not only got its x-member frames but other special reinforcements that ended up the car weight 4,000 pounds and exceptionally solid. 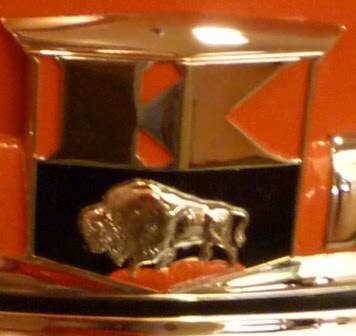 There is a image of a buffalo within the Kaiser emblem on this car is several places, on the front, steering wheels and hubcaps of the car but there doesn't seem to be a explanation as to why? The volunteer that I spoke to at the Museum that has been curious about this puzzling image has asked several different sources, other volunteers and other people that might of had an answer but to no avail. My answer thinking about it is that the car's color is called Indian Ceramic, because of its color being much like that of the Native American Pottery. Maybe its a Indian Buffalo or somehow the Buffalo was associated with Native Americans back then? So if you happen to know the answer behind this mystery or have another idea of what the answer could be I would love to hear it. In the mean time I hope that you enjoyed this post. 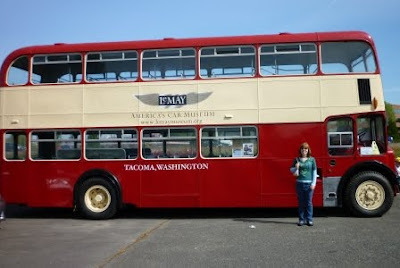 I have always admired and really liked double decker buses. Maybe its because I have never been on one or it could be the fact that it is a "British" thing. Whatever the reason I have always seemed to have a fascination with them. 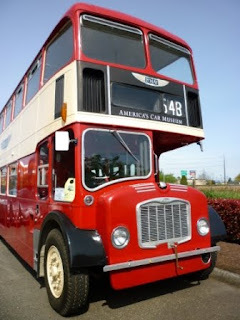 This is one of LeMay - AMERICA'S CAR MUSEUM'S Bristol Buses at the Fife location. An interesting note about that British Bristol Bus is that before the redesign in the 1920s the double decker bus was not a popular option of transportation in England. This was because it the buses were low clearance buses that did not have enough head room and their seating was four in a row for the upper deck. The buses couldn't be any taller because of the low bridges in the area so the Lodekka model was invented to take care of these problems. 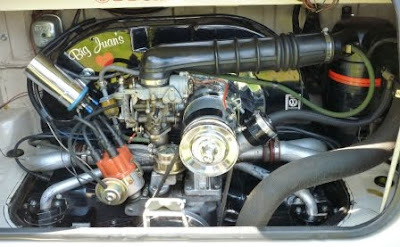 The Lodekka model lowered the gear shaft so that it would provide more head room. Another funny thing that I found out about these buses that I never knew before was that these buses were not all red and white. The buses that were red and white were actually owned by the red and white motor services. I hope you have enjoy this entry about the Bristol Bus. 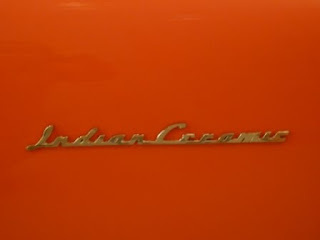 Another rare jewel of a car at the Lemay Museum. 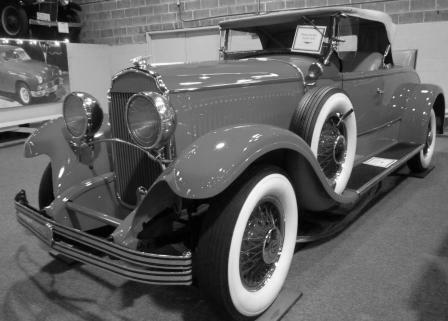 A 1929 Chrysler Imperial L - 80 Roadster. 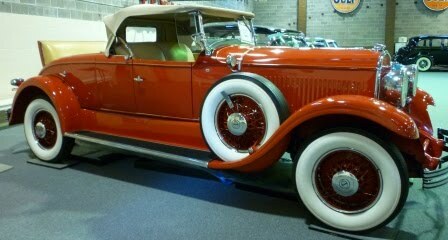 It was actually made by a separate division of Chrysler by Locke & Sons. 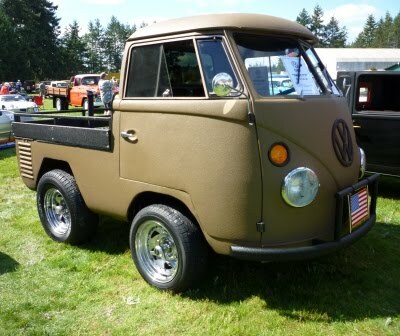 This was a custom car and according to the person I talked to at LeMay very few were made, less than 300! The third door on this vehicle for the rumble see was rare for this time. 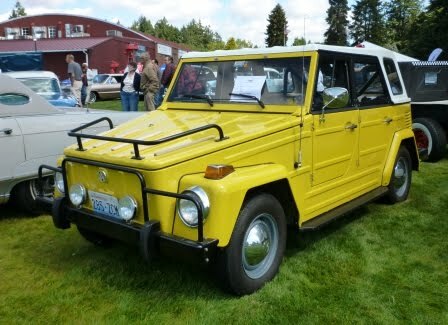 So much that the term "three door" is often included in the title of this car now a days. 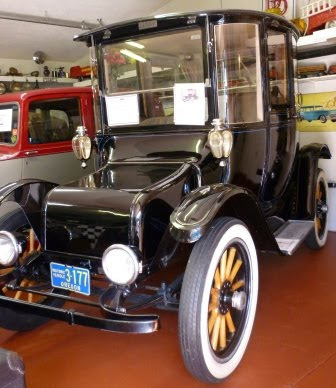 While I couldn't find a lot of information on this car, thanks to the Imperial Club and to Joe Reasoner at LeMay - America's Car Museum I did learn a little. I found some cool advertisements from the day on the Imperial's website, which I have linked to here: Custom L- 80 Roadster ad, "Ultra Fashionable" Ad for Roadster, also here is a couple of pictures of the roadsters comparing the early and late production of the 1929 models. 'Till next time have a excellent day everyone! I went into the gymnasium at the Museum today and to my pleasant surprise look what I found sitting there! Cool huh? 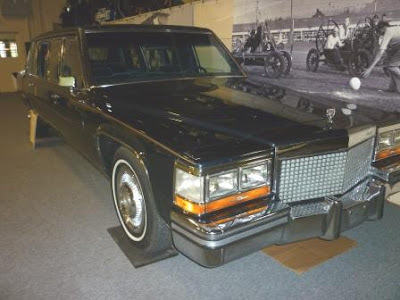 This is a 1984 Presidential Prototype Cadillac Limousine. While it never did have a president in it, at least we can't say for sure, the limousines designed from this prototype were the vehicles that were made from this design include: Ronald Reagan, George Bush and Bill Clinton. 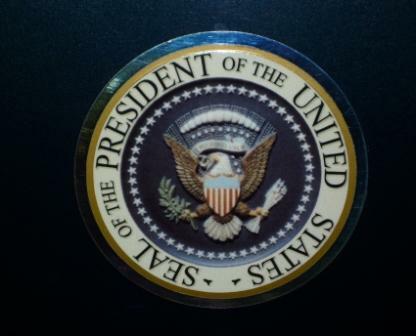 It was built by GM motors in 1984 to evaluate the design and layout of the one that they sent to the White House that year. 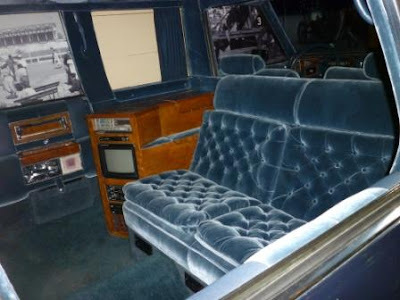 This limousine featured three cell phones, writing desks, and a hands free intercom that allowed the passengers to communicate not only with the chauffeur but also with the people outside. Some of the other amenities that the limo had was a tv, a specially designed am/ fm radio, cd player and video cassette player. 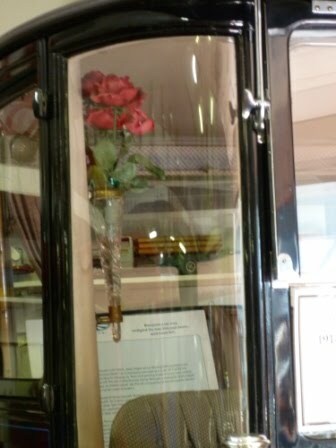 I hope you have enjoyed this post about the 1984 Cadillac Presidential Prototype Limousine. If you are in the Pierce County area you should really check it out for yourself. 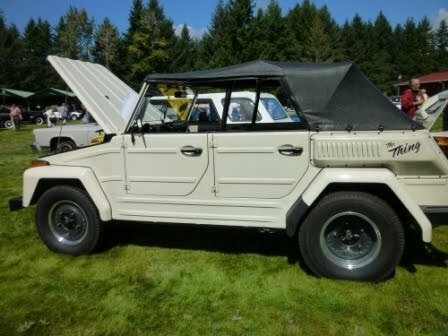 It is quite a cool vehicle.